I love beer. After now having visited over 465 different breweries, it’s fair to say I have sampled a lot of beer (follow me on Untappd). From post-race pints and run club meeting locations, to beer miles and relays, running and the kegged nectar seem to go hand-in-hand in Oregon. Our Kegs and Legs feature is where beer drinking runners like me can go to find some new favorite beverages. If you’re new to this concept, here’s what you need to know. 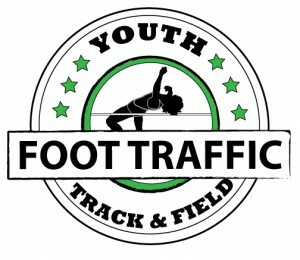 Show up at Laurelwood about 30 minutes before the race to get yourself checked in. This shouldn’t be too difficult, since it’s not one of those races that starts early in the AM (race is at 11AM!) Get your blank race bib and decorate it up all fancy or fun. This is not a chip-timed race, so no worries about getting your best PR or losing it along the way. Hang out, grab a beer before the run if that’s your thing, participate in the pre-race stretches and get pumped for the race. 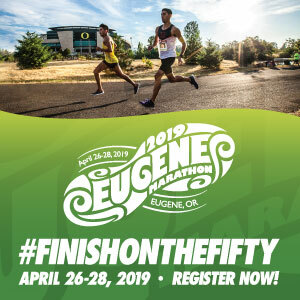 When it’s time to go, take off around the streets of NE Portland and run, jog, walk, or crawl any which way you can for about 3.1 “ish” miles (check out the course here) before coming back to the brewery for a cheer-filled finish. Please make note of the fact that streets will NOT be closed for the race and you will need to follow the rules of the road, though volunteers will be there to provide you with a safe running route along the sidewalks, parks, and trails of the race. Once you’re back from your journey, grab your race swag (a collector’s pint glass or another seasonal item) and enjoy a complementary craft brew. Hang out for the raffle for even more awesomeness. 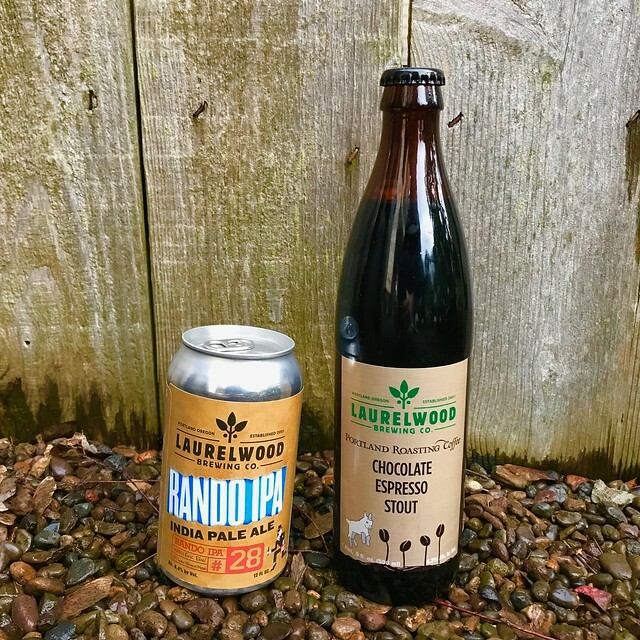 Unlike Von Ebert, Laurelwood is a veteran in the PDX beer scene and has locations in NE (just off Sandy Blvd – and the location of the event), as well as a spot in SE and at the PDX airport. They started operations in 2001with an idea to create not only solid beer, but locations that are family friendly and down to earth. If you step foot into any of their locations, you get this feeling – it’s not pretentious or snobby, but they still make some really great beer. This sort of feel makes it a great location for a family-friendly fun run. I have been to Laurelwood numerous times over the years. One of my first favorite IPA’s was their stable Workhorse IPA – a West Coast IPA that is supremely drinkable. Laurelwood recently sent me home with a six-pack of Rando 28 IPA and two bottles of their Chocolate Espresso Stout to try. The Rando IPA series is Laurelwood’s experimental IPA series and allows their brewers to try out some new combinations of hops, malts, and flavor profiles. Each is a little different (dare I say Rando…m) and showcases the latest and greatest. Rando 28 is a delicious IPA that is super well balanced and hits the spot. I think it ranks right up there with their Workhorse in my opinion! Though I am an IPA guy at heart, I am slowly coming around to the dark side when it comes to beers. While not a full on stout/porter guy, I came to appreciate the styles during the cold and dark winter. I can still be hit or miss at times, and I find that the ones I appreciate the most don’t have the highest ABV, but are instead coupled with solid flavor profiles. I really think Laurelwood hit it out of the park with their Chocolate Espresso Stout. It is a sweeter version of their original espresso stout and the chocolate really shines through. This is a yearly collaboration between Laurelwood and Portland Roasting Company, with the 2018 version including organic coffee , a lovely complement to the malt and finalized with an aging process on Ecuadorian cacao nibs. Don’t forget to check them out at the upcoming Brewery Running Series event, or just stop in the next time you need a lunch or dinner outing!